Halloween isn't something I've ever paid any attention to. Halloween, until recently, wasn't a "thing" in Australia. When I moved to the UK I paid it little attention. My two years were spent in a flat with no easy access, so trick or treaters. I then moved to a little house in Ramsbottom, and I'd always have some sweets ready to appease the kids who would knock on the door. I never really had a "stance" on Halloween, I did think it was a US thing and wasn't that interested. I did expect that once at school, Joseph would want to mark it in some way, but I hadn't given it a lot of thought. 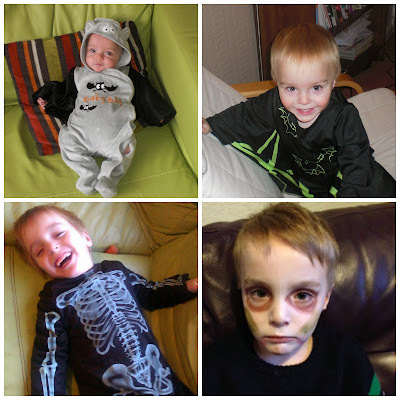 Joseph was born in May 2009 as I have well documented, I was traumatised. I kept to myself a lot making a token effort at baby group on a Monday and spending a lot of time on my own at home. I was frightened a lot of the time. The doctors put the fear of God into me that Joseph would be a frail, poorly child for his first year and that I was to be careful. I treated him like he was made of crystal. One day I happened to be in a supermarket and saw the cutest little outfit and bib. So I bought it. That first Halloween I dressed him up and my husband and I took him trick or treating around our street. I let people hold him, really for the first time. I enjoyed the delight on people's faces as we held our baby up saying "trick or treat" and giggling as people gave us treats and money. Halloween 2009 was a milestone. I enjoyed my baby. We had fun. I let myself just be a mummy, be silly and let my guard down. And nothing happened. He didn't get sick, noone hurt him, it was fine. Today our house is decorated. Quite subtly I might add, but there are spiders and skeletons, ghosts and bats. The pumpkin is carved. "Mummy I want a spiderman pumpkin". Halloween to me, is a celebration. Of childhood, having fun, eating too many sweets, carving tasteless horrible pumpkins - the English carving pumpkins are not edible to me, blech give me a Queensland Blue any day of the week. On a personal note Halloween marks a turning point in my own parenting journey, from frightened guardian to loving proud mum. All opinions are my own and not that of my employer. Yeah I know. Reading comments on the Daily Mail is much more dangerous to your emotional and physical well being than the original article. If you need reminding why the Daily Mail is dangerous to your health, please find attaced Dan & Dan's Daily Mail song. 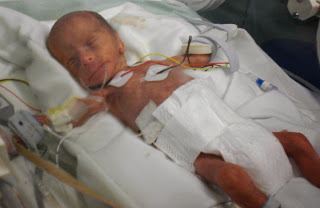 One of the things about prematurity is that people seem to think once the child is walking, talking, a reasonable height and weight, that it's over. The Daily Mail comments are full of "my child was born 6 weeks early and speaks 7 languages and does algebra upside down in her sleep". Jolly good. My child born 13 weeks early struggles to know when to use the toilet, and to mobilise up and down stairs independently. They are not weeks full of lullabys and love and fluffy time with their parents. They are full of procedures, time in a plastic box, isolation. Infection, life threatening conditions, invasive procedures, painful procedures. Many pre term children continue, on discharge, to have complex medical battles. Children are born with under developed brains which take longer to catch up. It's not an excuse its medical fact. An incubator with a round the clock medical team does not do as good a job as a womb. Simple. There's no one size fits all solution. Just allowing children to start on the day they should have been born isn't the solution. It's one of them, and I think it should be taken into account definitely, but it wouldn't have helped us. You see Joseph was due on the 7th August. He was born on the 8th May. He hasn't skipped a school year. But there is an extreme and palpable difference between Joseph and his peers. He isn't independently toiletting, his mobility isn't as good as other children, he struggles with self care and he gets bone crushingly tired. This isn't about education, this is about basic ability. Joseph has not fully caught up yet. And that's ok. But it must be taken into consideration. You can't perform well when you are perpetually exhausted. Simple. He has lost the love of reading at night as he is knackered. His home life is suffering. He needs a bit longer to catch up, and some additional help. Joseph hasn't got a statement as he doesn't have any identified additional needs. Ad hoc solutions like sending him in half days etc are not going to work, now term has commenced. Isolating Joseph and making him different from his peers at this stage will be detrimental, and he will not like it. What I believe is that all children born prematurely should, when they are allocated a school, have an educational assessment and open meeting with the school and LEA and discuss a plan. A premature education plan. That might involve adjusting the child's start date, it might involve some sort of statement, it might involve nothing, that the child is deemed to have caught up and all is fine and dandy. More and more children are being born at 23-28 weeks. They have additional needs, and they should be accommodated. The impact of not doing so is unfair on the child and on the parent, and on the teacher and other class mates. Last week I wrote Life and Death in the NICU , and I got talking to one of my Twitter friends and discussed whether she would like to share the story of her beautiful son Aneurin. It was World Prematurity Day last year when I met Naomi. I was struck by her encouragement and grace, and her support on that day was so valuable. Naomi's son Aneurin was a very special gift, but sadly lost his fight against prematurity after 4 days. Here is their beautiful story. Our little boy was a fighter. It was apparent early on in the pregnancy that something was wrong. Eventually after many scans and consultations, he was diagnosed with severe intrauterine growth restriction, because of a placental dysfunction. We knew that we could lose him at any point. We got through those long days by hoping for the best, and being reassured by his constant kicking (he was a particular fan of disco and Donna Summer). Eventually at 30+3, it was decided that he would be delivered. On April 24 2012 at 13:11, Aneurin Fred Owens was born. It was the happiest moment of our lives. The Neonatal Team were in the theatre, ready to whisk him off. His Neonatologist, Dr Barr, came over and said he looked under 500g. We knew that for him to have any chance, he needed to be over 500g. They weighed him, and he was 550g (1lb 2oz). Small but possibly big enough. The Neonatal Team at the University Hospital Wales, Cardiff were amazing. While I was recovering they brought a picture of Aneurin, which we will always treasure. As soon as I was well enough we went to see him in the incubator. We knew what to expect because we had a ‘tour’ of the Unit before he was born. But nothing quite prepares you for seeing your beloved child, hooked up to all those machines and wires. We were amazed at how ‘big’ he looked. We had expected him to be tiny, but he was quite long. He looked perfect to us and was utterly beautiful. Over the four days he was with us, Aneurin bore the many interventions with courage and grace. But the difficulties were becoming insurmountable. Sadly, on the fourth day, Dr Barr gave us the news that we had been dreading. After frantic phone calls to our parents, to get to the hospital, we went back to the ward to sit with him. The incubator doors were opened, and we stroked and talked to him. We watched the figures on his monitor; we knew if they kept coming down, this would mean he wouldn’t survive. Despite the Neonatal Team’s best efforts, they kept coming down. Even now, 17 months on, every time I hear beeps, I am taken right back to sitting on that stool stroking him, and looking nervously at the monitors. I hated those beeps. Eventually, we were told it was time. Screens were brought in for privacy, and we were prepared for the first time we would get to hold our son (he had been too small for kangaroo care). Despite the fact we were in the middle of a busy Neonatal Unit, it was as if there was just the three of us. That is testament to the Neonatal Team. 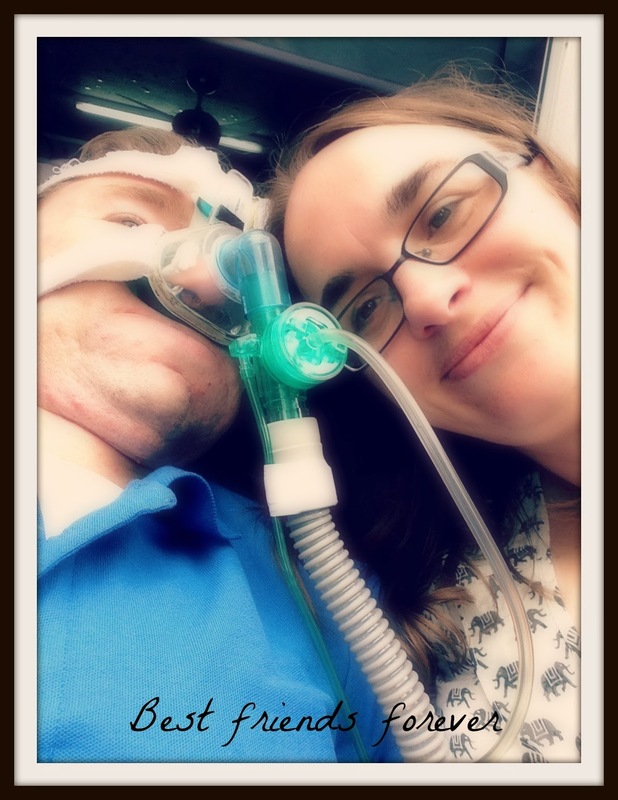 Dr Barr hand-ventilated him as he was put in our arms. We marvelled at our little fighter, who had given us so much joy and happiness. Holding him was like holding a bag of air. We were determined not to cry, we wanted his passing to be peaceful. That he would just hear our voices telling him that we loved him. He passed away peacefully in our arms. The peace didn’t last. As soon as he had gone, I wailed in the way you see people on TV do. Dan carried Aneurin in his arms down the corridor, to introduce him to his Grandparents. When we went to see Dr Barr after his death, she said something that stuck with me. She said that ensuring that deaths are peaceful is an important part of their job. We will always be grateful that they were able to make Aneurin’s passing as peaceful as possible. It’s the small things that stick in your mind. Such as Dr Barr remembering that my in-laws were Welsh speakers, and speaking to them in Welsh, the way Dr Barr described Aneurin as a ‘valiant fighter’ in one of her letters, the card we received on Aneurin’s birthday from the Neonatal Unit, and even the mortuary assistant who told us how beautiful our son was. For these reasons and so many more, I’ve always said I would walk through fire for all the staff at the UHW who cared for Aneurin and us during our difficult pregnancy. There will never be enough words, in particular for the Fetal Medicine and Neonatal Teams, for us to say thank you. Losing a child is on the top of most people’s nightmares. I struggle to explain what it feels like. The only analogy that I can come up with is that it is like a nuclear bomb going off, and everything in your life is laid to waste. Because your past, present and future is never the same. But during the hardest days, we remember how brave and valiant Aneurin was, how much he fought, and this gives us the strength to keep putting one foot in front of the other. Thank you so much for sharing Aneurin with us. I will be supporting World Prematurity Day again this year, with a 24 hour social media marathon. I will also be dyeing my hair purple. All proceeds with be going to Bliss - UK's only charity dedicated to special care babies and their families. You can sponsor me here, thank you.